We are linking up with Doodle Bugs Teaching to share Five for Friday with you. 1) Look what our kindergarten team received in the mail this week! My students loved getting a new toothbrush and book from Colgate!! I know this picture is a little funny!! 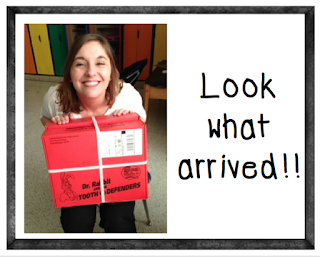 I had my kindergarten colleague take the picture before we opened the box. I love getting packages in the mail. 2) The package arrived just in time too! 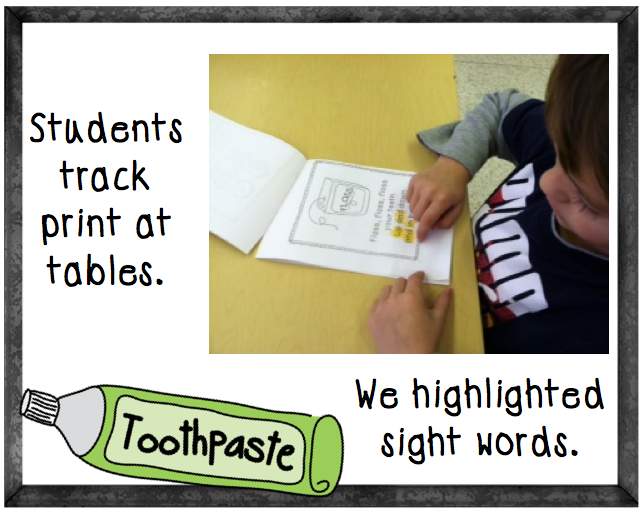 We were studying and learning about Dental Health. My Dental Health Literacy Unit is available in my TpT store. It is a 63 page unit filled with literacy, reading, writing, and graphic organizers for dental health. 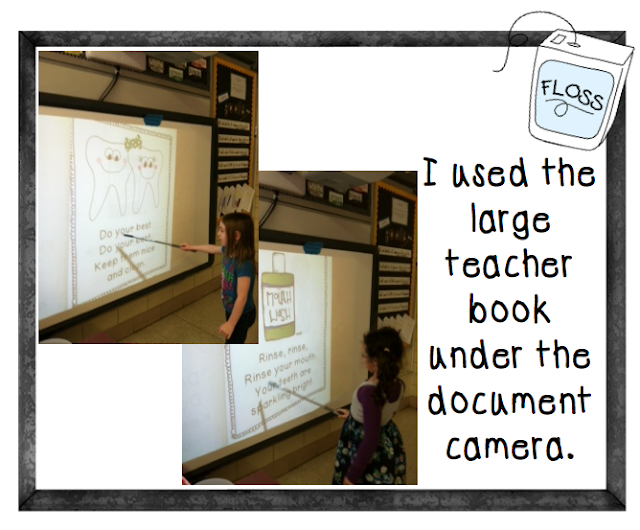 Below are some photos of my students reading from the document camera. The book is included in my Dental Health Literacy Unit. 3) I also purchased some pretty amazing clipart from The Hazel Owl. I emailed and told her that I liked her style. I requested dental health clipart. The clipart shown above was used in the packet along with other clipart too. 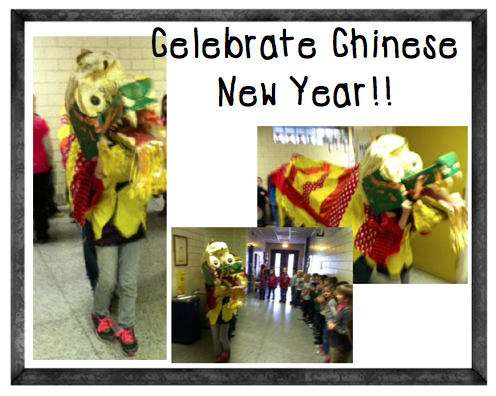 4) Today our 4th graders paraded our school to celebrate Chinese New Year. Below are some photos of the dragon. Our kindergarten students put coins in a bucket to bring them "good luck". The proceeds go to benefit a local charity. 5) I also purchased this amazing Chinese Unit to use with my students. 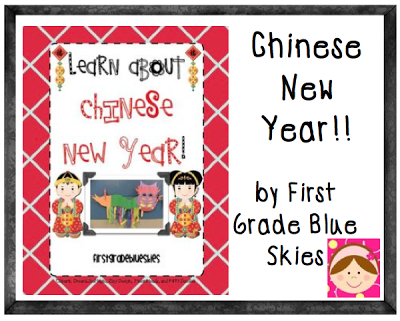 It is a 51 page unit made by First Grade Blue Skies. She is fabulous and has so many ideas. 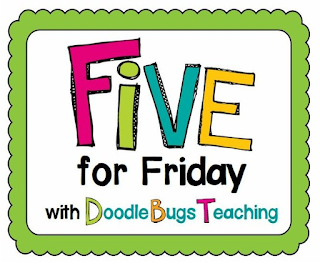 Head on over to Doodle Bugs Teaching to link up your Five for Friday!! It all looks great! Thank you for the shout out! Oh my goodness - it looks like you guys were busy, busy, busy. I want a Promethean board something awful! 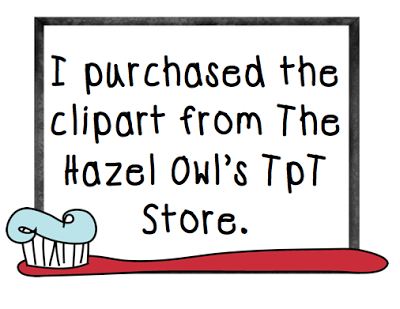 I love Hazel Owl clip art! I just bought some of her stuff, too. I got that package in the mail too! 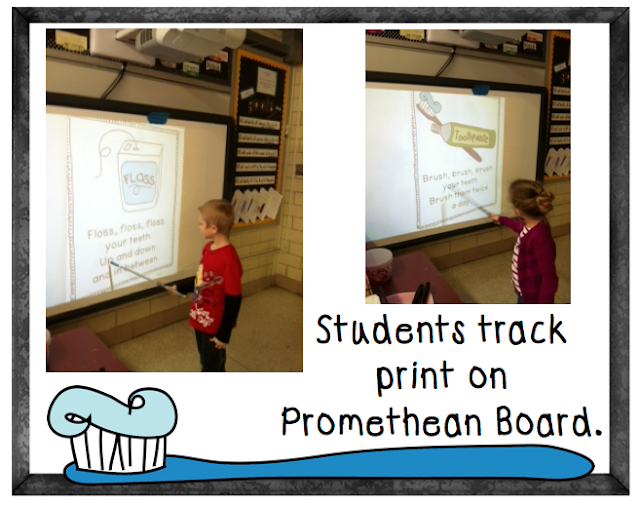 Literacy Groups & Monday Freebie! Five for Friday with some Freebies!